According to the National Association of Realtors, home ownership and stable housing go hand-in-hand. Homeowners move far less frequently than renters, and hence are embedded into the same neighborhood and community for a longer period. Homeowners have a greater financial stake in their neighborhoods than renters, and because owners tend to remain in their homes longer, they add a degree of stability to their neighborhood. They also reap the financial gains of any appreciation in the value of their home, so they tend to spend more time and money maintaining their residence, which contributes to the overall quality of the surrounding community. New Jersey, and most especially the South Jersey region, are littered with homes that are in some state of foreclosure. In 2017, New Jersey had 57,599 properties with a foreclosure filing (default notices, scheduled auctions, or bank repossessions). The Financial Wellness Institute, a nonprofit financial education organization, and Land Dimensions, a land use planning/engineering company, recognize the continuing legacy of decreased property values as a result of the continued state of housing foreclosures in the South Jersey Region. They believe in coalition building to address the foreclosure issue, while at the same time matching new homeowners with homes they can afford. 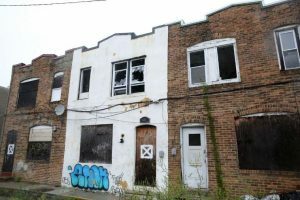 These two businesses have come together and engaged the Walter Rand Institute to assess the extent of the foreclosed housing phenomenon in South Jersey, the cost of foreclosed properties to the South Jersey economy, recommendations for efficient solutions, and the potential economic benefit of those solutions. Page last updated by Senator Walter Rand Institute for Public Affairs at 9:41 am March 30, 2018 . This page was printed from http://rand.camden.rutgers.edu/2018/03/29/abandoned-housing-study-and-solution-launch/ at 4:17 PM Monday, April 22, 2019.